Sébastien Lazardeux – Cohabitation in France: Intra-Executive Conflict, and Legislative Gridlock? It is well-known among the readers of this blog that the standard definition of semi-presidentialism does not allow comparison between presidents with real institutional powers and presidents who are mere figureheads. By extension, using cohabitation as an independent variable in studies of semi-presidential institutions can lead to serious problems of inference. A president with significant institutional (and especially legislative) powers is better prepared to block the legislative agenda of a prime minister from the opposition. In such case, what follows is legislative gridlock and intra-executive conflict. In a recent book published by Palgrave, titled Cohabitation and Conflicting Politics in French Policymaking, I look at cohabitation and its potential effect from a different angle. I present cohabitation as a strategic game played by the president and the prime minister. In doing so, I argue that while presidential institutional powers are useful in constraining the actions of the prime minister and his cabinet, informal powers (speeches to the nation or other symbolic actions taken by the president) must also be counted as important ways in which the president can fight the premier’s agenda. Cohabitation, in this framework, can be more damaging to the premier’s legislative achievements than previously thought. This view of cohabitation also questions a still widespread perception of semi-presidential systems as oscillating between presidentialism (under unified government) and parliamentarism (under cohabitation) (see Lijphart 1997 for example) since a president under cohabitation still has enough legitimacy and visibility to play a political role superior to his counterparts in parliamentary systems. Conceptualizing cohabitation as a strategic game between president and prime minister also allows me determining the environment under which cohabitation is likely to matter, both in terms of legislative efficiency and intra-executive conflict. Here, the argument is rather counter-intuitive. I posit that the prime minister’s ability to introduce and enact important legislation is not due to his absence of institutional power under cohabitation, but his absence of will. He has no incentive to pursue an agenda of important and sometimes controversial reforms when the president is his political opponent, and is likely to use all the power of his function (including his public visibility) to express his opposition to the premier. The only reason why the prime minister would introduce reforms would be when his legislative majority is uncertain about its capacity to remain in power, and is therefore pushing for an immediate implementation of its program. Overall, rather than creating legislative gridlock, cohabitation can, under the condition above, create legislative paralysis. By extension, my project discusses how cohabitation can impact intra-executive conflict. The question of intra-executive relations under semi-presidentialism has received a lot of traction in the past decade (see for example Protsyk, 2005, 2006; Sedelius, 2006; Schleiter and Morgan-Jones, 2009). This study participates to this growing literature by adding an independent variable to the causes of intra-executive conflict. In my framework, the president’s propensity to criticize the prime minister openly is directly related to the volume of important legislation introduced and enacted by the government. In other words, the more legislative productivity, the more intra-executive tensions under semi-presidentialism. Finally, my work tends to show that cohabitation does not promote negotiations between the president and the premier and does not produce moderate policies. Overall, my argument is in line with those who believe semi-presidentialism is far from being a fool-proof institutional system; it allows cohabitation which, as I have discussed, can be problematic in terms of governance and political stability. As the title indicates, the study is centered on France and looks at its three periods of cohabitation (1986-1988, 1993-1995, 1997-2002). I adopt a multi-method analysis to treat the impact of cohabitation. First, the three instances of cohabitation are examined qualitatively. Its impact of legislative productivity and intra-executive negotiations is treated quantitatively as well using data from 1967 to 2012. 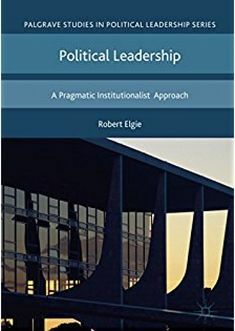 As the manager of this blog, Prof. Elgie, rightfully argued, France is not the “archetype” of semi-presidential institutions (Elgie, 2009) and using France as a case study limits the generalizability of its findings. However, I would argue that it is a good case for methodological and theoretical reasons. Theoretically, it is evident from what I have argued above that the logic of cohabitation is present in all semi-presidential systems. Methodologically, the French president is not endowed with the same veto capacity than other presidents in semi-presidential institutions. Hence, if the French president can indirectly limit legislative activity, it should be ever truer for a president with a legislative veto. This said, I used Portugal as an additional case for my quantitative analysis of legislative productivity under cohabitation and my results are consistent with my theoretical assumptions. It may be argued that the book is published at a time when cohabitation in France has become an unlikely possibility. Indeed, the constitutional reform of 2000 reduced the presidential mandate from 7 to 5 years and made it equivalent with the legislative mandate in the lower Chamber of Parliament. Hence, it is doubtful that citizens will elect a president from one party and a legislature in opposition to the president’s party. However, it needs to be noted that the French president has the right to dissolve the assembly. This is what conservative President Chirac did in 1997, thereby losing his parliamentary majority and having to cohabitate for 5 years with a socialist premier. Given the current political climate in France, a presidential dissolution does not seem impossible, and a victory of the opposition a real possibility. Moreover, I would argue that the constitutional reform of 2008, which reduced the powers of the prime minister while increasing the powers of the Parliament, could make cohabitation an even more problematic situation than it has been in the past. Imagine a French premier with less control over his parliamentary majority than was the case before 2008; imagine also the same premier in a situation of cohabitation. This prime minister would have more difficulty in pursuing legislative restraint, which would lead to more common intra-executive conflicts. Cohabitation in France might be less likely, but its impact definitely more harmful. Elgie, R., 2009. Duverger, Semi-presidentialism and the supposed French archetype. West European Politics, Volume 32, 2, pp.248-267. Lijphart, A., 1997. Trichotomy or Dichotomy?. European Journal of Political Research, Volume 31, pp. 125-146. Protsyk, O., 2005. Politics of Intra-executive Conflict in Semipresidential Regimes in Eastern Europe. Eastern European Politics and Society, 19(2), pp. 135-160. Protsyk, O., 2006. Intra-Executive Competition between President and prime Minister: Patterns of Institutional Conflict and Cooperation Under Semi-Presidentialism. Political studies, 54(2), pp. 219-244. Schleiter, P. & Morgan-Jones, E., 2010. Who’s in Charge? Presidents, Assemblies and the Political Control of Semi-Presidential Cabinets. Comparative Political Studies, 20(10), pp. 1-27. Sébastien G. Lazardeux is Assistant Professor of Political Science at St. John Fisher College. He was previously Lecturer at the University of Washington and Post-Doctoral Researcher in Bordeaux, France. He has published in Governance, West European Politics, and French Politics. His work focuses on comparative institutions and radical right politics. This entry was posted in Europe, France and tagged Cohabitation, France, Presidential Power, semi-presidentialism on May 1, 2015 by Robert Elgie.